And although Ivan Gomez is discovering some differences in the style of play in Mexico and the United States, he’s still making the same impact. 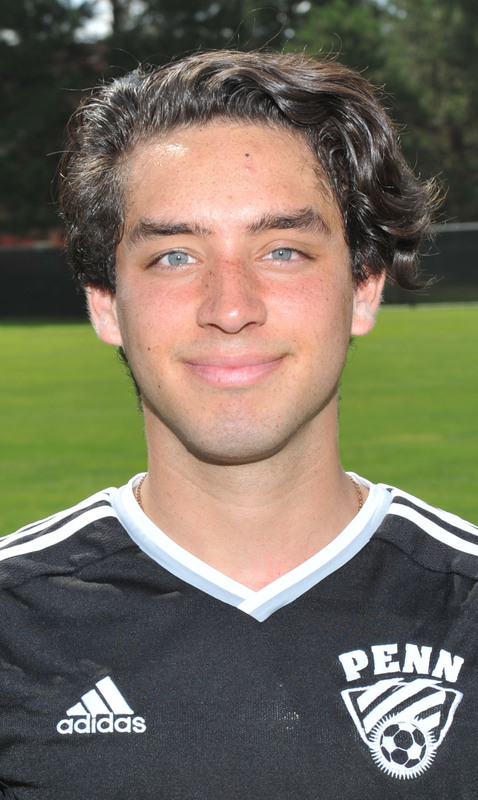 Gomez, a senior on Penn’s Boys Soccer team, moved here from Mexico in the summer. The Kingsmen are 16-0-2. Penn won the Northern Indiana Conference championship and the Sectional championship with Gomez in the starting line-up. Next up for Gomez and the Kingsmen is a Regional match against Plymouth on Thursday at 7 p.m. at South Bend’s School Field. “Back in Mexico, the game is way more technical, and up here it is more physical,” Gomez said. He also explained how subbing players in the game works, because here in the United States for high school you are allowed to sub whenever you want, and in Mexico where he played you were only allowed to sub three players a game. If you have a yellow card you do not have to leave the field, but here you have to leave the field, so that is pretty important. While Penn limits scoring when the Kingsmen pull away from an opponent, that’s not the case in Mexico. Gomez said that he likes the rules in Mexico more. It was a challenge for Gomez to switch countries and play right away on a high school team where rules are different and you don’t know anyone, but he has been up to the challenge. He has fit in nicely and smoothly, and he has done a amazing job. Gomez brings flair to the team and lights up defenders with his wicked shot. Not only can he dribble through defenders, but he is not a selfish player at all. Gomez has done a good job with connecting lots of good chemistry with the team and has helped lead the team to an undefeated season so far. Now, the main focus for Gomez and the Kingsmen is trying to go to state.